This will be my first visit since 1973. 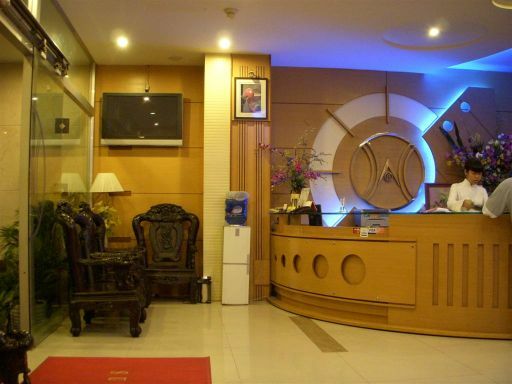 We don't have any traveling plan at all because my brother, Charlot, who have been to Vietnam 5 times, told us to make all the booking in Vietnam because it is more economical. People have been asking me: "are you excited to go to Vietnam?" and my answer was "No" because I did not have a plan! I can not get excited without knowing which city we are going to visit. The only thing I know is we are not going to the North because we only have 2 weeks and that is just not enough to tour the whole country. However, I am dreading the long flight and I am not looking forward to get on the plane at all. 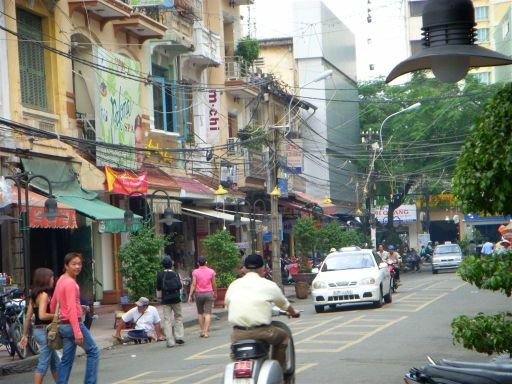 Ho Chi Minh City is the correct and legal name for the city but it is too long so I will refer to it as Saigon. 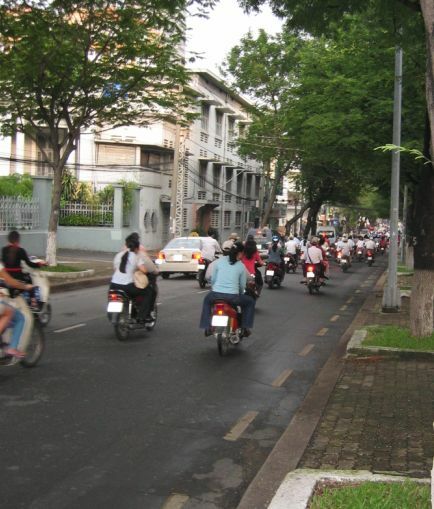 Vietnamese people still refer verbally as Saigon. 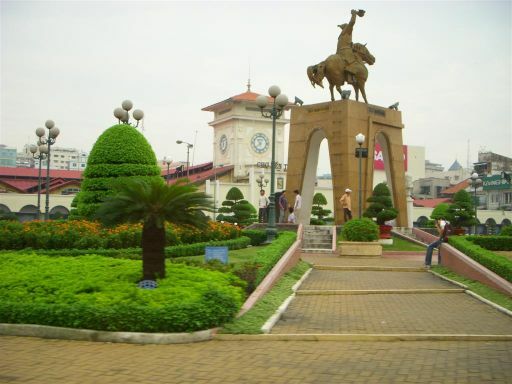 The entrance to Ton Son Nhat Airport. Our whole trip took about 20 hours and it turned out to be a very good flight from SFO to Taipei. The flight was pretty empty. Hoa found an empty 4 seats and used them all to sleep almost through the night. Kevin slept a good 10 hours and I remembered by the time I opened my eyes there was only 2 hours left to the arrival in Taipei. 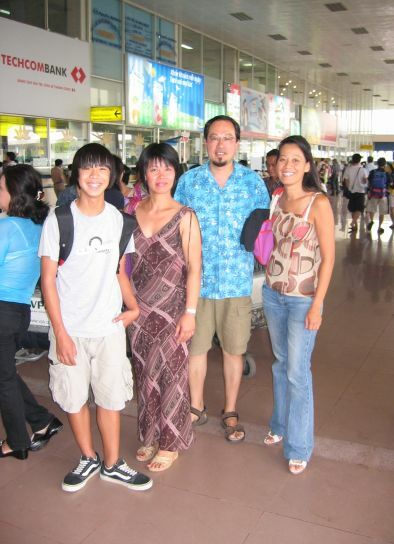 My Brother, Charlot and his wife, Xinh met us at the Tan Son Ngat airport. 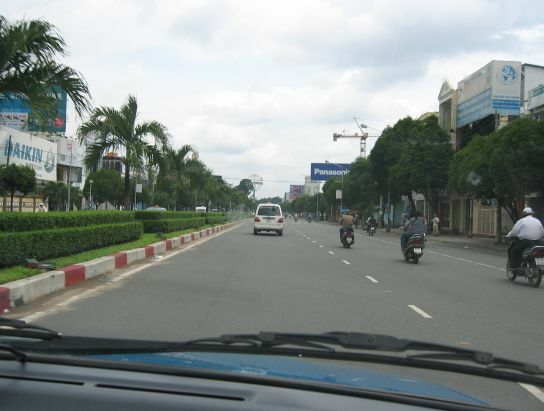 The airport is located about four miles (7km) from downtown Saigon. During the Vietnam War, Tan Son Nhat Air Base was an important base for both the United States Air Force (USAF) and the South Vietnamese Air Force (VNAF). 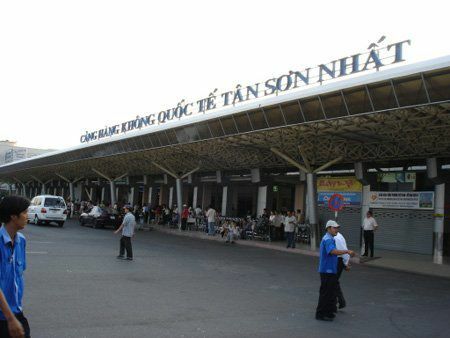 Prior to the end of the war in 1975, Tan Son Nhat International Airport had been one of the busiest airbases worldwide. There is construction under way for a new international terminal. On our way to our hotel..
We are just leaving the airport.... Lots of motorcycles on the road. 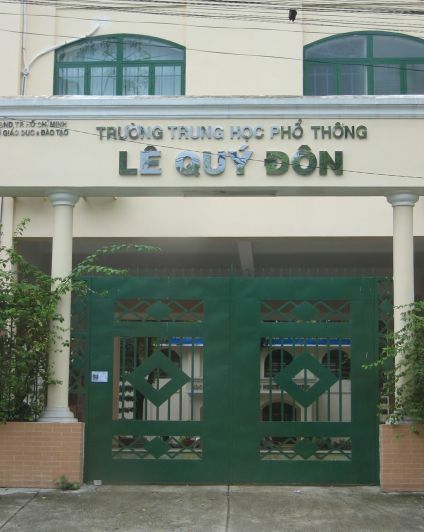 Le Qui Don is a very famous high school. Only the best of the best attended this high school. We are in the city now.. 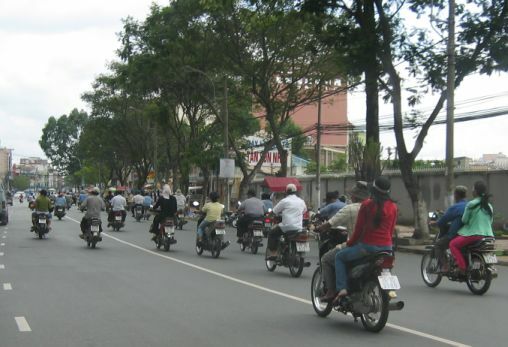 Narrow street full of motorcycles. Shopping center on the right in the high rise building on the right. 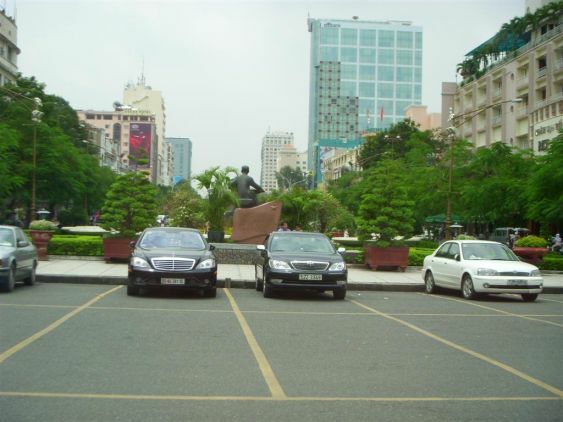 Parking lot close to the People's Committee Building. 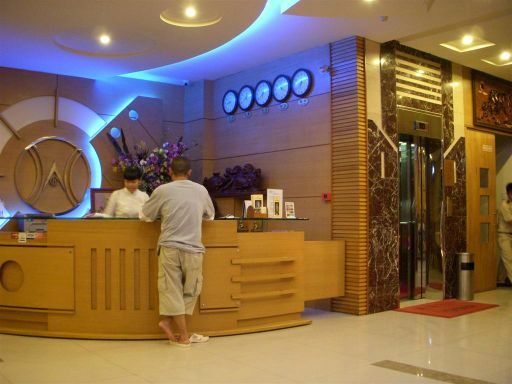 Since this is our first time in Vietnam, Thuan (Hoa's brother) reserved Ha Hien hotel for us. 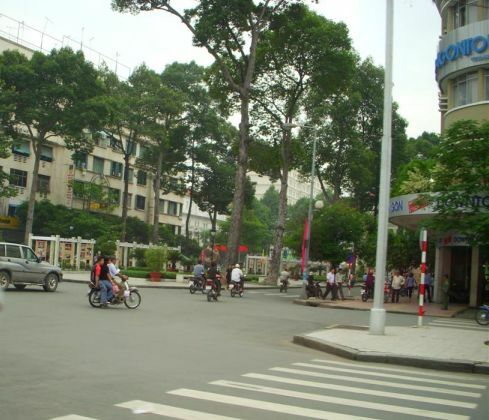 Cho Ben Thanh is from Walking distance and it is a fun place to go shopping. This trip is somewhat of a reunion. 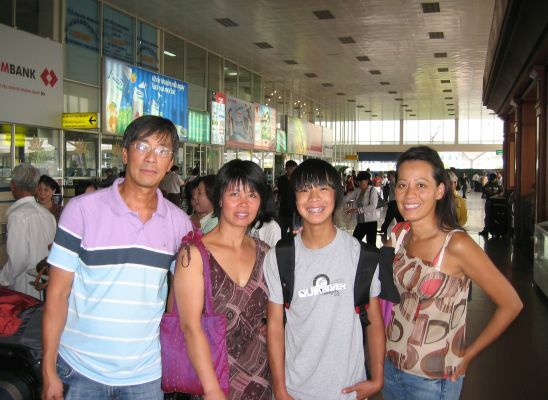 My brother and his family leave in France, my cousin Lan Huong and her husband Vinh are from Los Angles, Hanh/Huy and us are from Northern California and we decided to meet in Saigon. 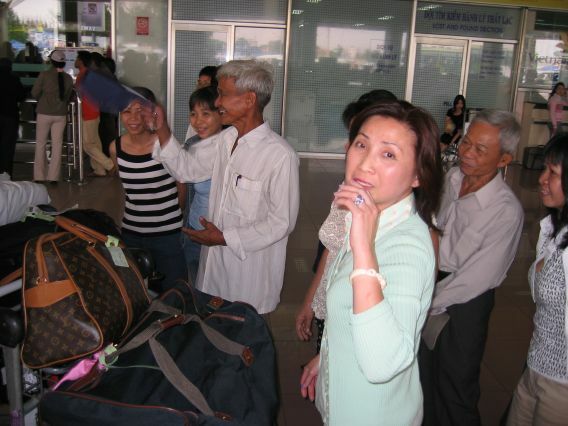 Lan Huong and Vinh are landing the next day in Saigon so we waiting for them to make our travel plan.